It's often said that the American Civil War was entirely and only about slavery. Is there another view? Was the ante-bellum South a primitive, backwards, illiterate, violent culture? De Tocqueville observed that "race prejudice seems stronger in those states that have abolished slavery than in those where it still exists, and nowhere is it more intolerant than in those states where slavery was never known"
How can you make an honest inquiry into American slavery without understanding the mindset of slave-owners? How can you do that without being yourself a racist? Abraham Lincoln was perhaps the greatest writer in American political history. Writers are great, in part, because of their ability to disguise what they really intend. "You and we are different races. We have between us a broader difference than exists between almost any other two races." The wire-pulling over the Morrill tariff bill in 1860 showed the party of the abolitionists cynically using a legitimate government mechanism to gain power in a presidential election. Alexander Stephens "Cornerstone Speech" in context. "States rights" is dismissed as a red herring argument, yet the Upper South states seem to have left the Union for this reason. Lincoln saved the union, but at a terrible cost to America's democracy and culture of freedom. 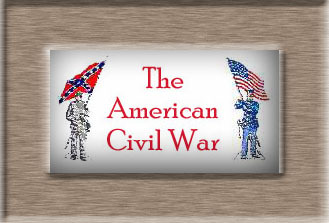 The evolving historical view of the American Civil War. Responding to the slander against Southern military effort. The South put forth a tremendous effort for independence. Journalism and Southern civil liberties. An examination of the myth of massive Southern desertion. Desertion by the numbers; case studies North and South. The original study of desertion in the Civil War. Southern conscription was the first attempt to create a modern military system. An overlooked draft in the North that was underway almost simultaneously with the first rebel conscription. An important source for the "South against the South" thesis. The Lincoln Administration's crackdown on Maryland. A sampling of federal documents dealing with martial law in Maryland. A pamphlet from the anti-government forces in Maryland. The suspension of Habeas Corpus in the North by the Lincoln administration during the war. A Northern newspaper editor fights the administration after it closes down his press in response to anti-government articles. Some Pennsylvanians fought for the South during the Civil War. "You are deceived and blinded that you may not see how this race antagonism perpetuates a monetary system which beggars you both." Zach Walker was burned alive by a white mob in Coatesville, Pennsylvania. A little-known but violent 1960s race riot in York, Pennsylvania. Slavery, racism, and segregation were national experiences. A native-born Southern white woman worked with native-born Southerners, black and white, with a shared sense of decency, to accomplishing the work of desegregation in Mississippi. From 1879 to 1956, the Georgia state flag was essentially the "Stars and Bars." If you were going to link any state flag with slavery, that would be the one. "So two-tenths of 1 percent marks the difference between legally enforced apartheid in the South 50 years ago, and socially and economically enforced apartheid in New York today"
Among historians, the dominant view of the Confederacy for the last generation or so has been the "lack-of-will" thesis. Despite a tenacious rear-guard action, the old "Lost Cause" thesis of a unified Confederacy went down in the '60s, shattered by batteries of scholarship. But new distortions have been built into the prevailing paradigm of the last 40 years, which offers the vision of a Confederacy collapsing under the weight of its own internal contradictions. A Southern government abandoned by its people, rejected and repudiated by every non-slaveholding white person, fighting with an army of disgruntled draftees. That is some people's estimation of the rebel army. As one who spent years studying Northern troops in battle, I had to wonder, "Who, then, were the grey-clad troops that my regiments encountered on the fields of Chancellorsville and Gettysburg and Spotsylvania? Surely it wasn't this army of slaves, who only stayed in their ranks out of fear. They fought hard; they fought smart; and they and fought not just to survive, but to win. In many battles they were cornered and offered the chance to surrender and refused it, and they fought on and they died. Where was the other CSA, that fought so aggressively and so well right up to the spring of 1865? The one my blue-clad regiments had bloodied themselves against at Fort Fisher? At Cold Harbor? at Petersburg?" Yet some people seem uninterested in the contrast between the Confederacy they portray as unworkable and flying apart almost from its inception, and the tenacious fight put up by the South for so long, in the face of great hardship. You can read more here about the evolving historical view of the South. Within the last eight years or so, this fixation with Southern "lack of will" has been questioned by some of the most active and able historians, who believe we have replaced one unbalanced view with another. Such questioning invites a charge of "neo-Confederate," or worse, from people who have some political or personal investment in the prevailing paradigm. This questioning is not the work of a lot of "moonlight-and-magnolia" sentimentalists. Many of them are not Southern-born; many have no ancestors who fought the war. One of them is James McPherson, the dean of American Civil War historians, who, after examining letters and diaries of 374 Confederate soldiers, wrote in "What They Fought For"  that, "I found less evidence of the 'rich man's war/poor man's fight' attitude in soldiers' letters than I expected, given the prevalence of this theme in recent scholarship." George Rable, in "The Confederate Republic," writes, "Indeed, what remains most remarkable about the Confederacy was not its internal weaknesses -- political, social, or economic -- but its staying power and especially the ability of so many men and women to endure and make sacrifices." William Blair's extensive 1995 study of Virginia concluded that the "vast majority" of the common people remained loyal to the Confederacy even when they grew dissatisfied with the government and their rich neighbors. He also found that planters there showed much more concern for the poor than they have generally been given credit for. It may well have been a self-interested concern. But it existed, and any conception of the Confederacy that leaves it out is willfully misleading. Steven Elliott Tripp's study of artisans and semi-skilled workers in Lynchburg, Va., found that "although they hated conscription and elite privilege, white workers hated Yankees more and devoted themselves to the Confederate cause." Some of the rhetoric of the "lack-of-will" partisans is so one-sided you'd think there was no North at all in the war, just the South fighting against itself. After Appomattox, when the surviving Confederate leaders fell into a big blame game over who lost the war, someone asked George Pickett his opinion of who was responsible for the Confederate defeat at Gettysburg, and he replied, "I've always thought the Yankees had something to do with it." Even the "lack-of-will" historians often pause to admire the South's sustained effort, ignoring the begged question that this reveals. 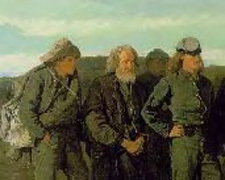 Steven Hahn, obsessed with "inherent contradictions and class conflict," still emphasizes that "the Confederate nation managed to command sufficient social unity to struggle on for four years," because "backwoods farmers, sacrificing their lives in great numbers, ... formed the backbone of the war effort and enabled the Southern armies to remain in the field as long as they did." The authors of "Why the South Lost the Civil War" spend more than 400 pages discussing the internal weakness of the Confederacy. Then they write that "Confederates fought harder than Americans ever fought, or needed to fight, facing far more formidable opposition than Americans ever confronted, and without allies." As an American I'd hate to think the thing they were fighting for, in their hearts, was the power to keep black people as slaves, or, worse, because they were dupes of conniving aristocrats. The South lost; therefore we search the record for evidence of why the South had to lose. Had the North gone down to defeat, you could as easily write 800 pages on the surviving documentary and literary evidence on "Why the North Lost the Civil War." A close look at that effort is often breathtaking. Jonathan M. Bryant in 1996 published a study of Greene County, Ga., which had an 1860 population of 1,075 white males age 13 to 45. The county sent 800 men into eight companies of regular infantry and cavalry and hundreds more into militia units. "Virtually all of the county's military-age males of all class backgrounds, plus many older men and some boys, served in the Confederate armed forces or the militia during the war," he concluded. Having studied military records on a county level in the North, I can tell you, that's as astonishing as it looks. Bryant focused on four regular companies and derived a 30 percent mortality rate of men in service, 14 percent discharged as permanently disabled, only 14 men listed as official deserters, and one-quarter of the 141 who were left in service at the surrender at Appomattox having been wounded at least once. The Confederacy mobilized between 750,000 and 850,000 men, which translates into an amazing 75 to 85 percent of its available draft-age white military population (The presence of slaves, to keep the economy moving, allowed this, but so did the work of women on the yeoman farmsteads). The losses the South took would translate into, say, six million U.S. battle casualties in World War II (instead of 961,977, the actual figure); nearly a million in Vietnam, instead of 201,000. Yet they lost the war, and, to the "lack-of-will" partisans, this makes the Confederacy a failed society. There's a danger of circular reasoning in this, and it sets the bar of "commitment to the cause" awfully high. Is total victory or total annihilation the only proof of "commitment"? Half of the Confederate soldiers were killed or wounded. How many more would have had to take a bullet to qualify as "commitment"? What if there had been a Confederate equivalent of Sherman's march? The response of my little corner of Pennsylvania to the rebel incursion of 1863 doesn't present much prospect of a glorious home front stand. Bell Wiley downplays Northern disaffection, both in the ranks and at home, while stressing the "depth of the North's devotion to the Union." Where is the Confederate equivalent of the political dissent of the 1862 and 1864 elections? Of the New York City draft riots? Of the widespread unrest over the suspension of habeas corpus? Or the estimated 90,000 -- as a low-end figure -- Americans who fled to Canada during the war as deserters or draft dodgers? "The alienated elements of the American population during the Revolution were probably larger than in the South during the Civil War," McPherson wrote. "Many slaves ran away to the British, while the Loyalist whites undoubtedly weakened the American cause more than the disaffected nonslaveholders weakened the Confederate cause. Yet the Americans triumphed and the Confederates did not. It is easy to exaggerate the amount of class conflict and yeoman alienation in the Confederacy; some historians have done just that. "... If the South had its class conflict over the theme of a rich man's war and poor man's fight, so did the North. If the Confederacy had its bread riots, the Union had its draft riots, which were much more violent and threatening. If many soldiers deserted from the Confederate armies, a similarly large percentage deserted from Union armies until the autumn of 1864, when the Confederate rate increased because of a perception that the war was lost and further sacrifice was useless. Note that this rising Southern desertion rate was primarily a result of defeat, not a cause." Instead, late 20th century scholarly preoccupation has often zeroed in on evidence of discontent within the Confederacy. It was real, and the evidence for it is substantial. The emphasis on it corrects earlier, over-simplistic theories. But it should not continue to be the whole picture, and to crowd into the shadows the majority of white southerners who supported the war. "Letters, diaries, and newspapers reveal a widespread expectation of Confederate success and tenacious popular will rooted in a sense of national community and closely attuned to military events. In March 1864, a point in the war when many modern scholars describe a Confederacy enveloped in despair and defeatism, Lucy W. Otey penned a letter that evinced common sentiments. Alluding to contributions of clothing for soldiers in Lee's army, Otey observed that "they are raised through the energetic and persevering efforts of Southern Women who can never faint or tire, in animating and sustaining the brave Soldiery of this Confederacy, while struggling for our Independence!" So long as the men remained in the field, stated Otey, "there are loving hearts and busy hands at home--praying and toiling, for their preservation and success!" Eight months later a young woman in Milledgeville, Georgia, lamented the fall of her city to Federal troops but expressed undiminished loyalty to the Confederacy: "The yankee flag waved from the Capitol Our degredation was bitter, but we knew it could not be long, and we never desponded, our trust was still strong. No, we went through the house singing, 'We live and die with Davis.' How can they hope to subjugate the South. The people are firmer than ever before." A signed letter proves what the writer wanted the recipient to believe on such and such a day. Especially a letter from a politician. Beyond that, you have to use a little common sense in treating communications. Is it public or private? What is the context? In the wake of the anti-draft riots, Lincoln writes to the Democratic governor of New York [Aug. 7, 1863], "We cannot match the rebels in recruiting our armies if we waste time to re-experiment with the volunteer system, already deemed by Congress, and palpably, in fact, so far exhausted as to be inadequate." He's probably not giving an accurate statement about the rebel recruiting abilities in this sentence. The dust jacket blurb, by Prof. McPherson, reads, "The best interpretive study of the Civil War, or at least of the Confederacy, to have appeared in a good many years. Gallagher has an almost unparalleled command of sources, both primary and secondary. His sound common sense, incisive analysis, and forceful and lucid literary style have produced a superb book." Eugene Genovese wrote of Gallagher's book, "In this bold, high spirited, well argued -- and indispensable -- book, Gary Gallagher does justice to the extraordinary courage and tenacity with which the white people of the South fought to establish their claims to national self-determination. And in so doing, he respectfully refutes prevalent but wrong-headed judgments." Gallagher, in an interview, said, "Common sense should play more of a role in historical evaluation than it often does. To be able to wage war, the Confederacy was willing to sacrifice hundreds of thousands of its young men and suffer the destruction of its economy. In terms of military casualties, Confederates sacrificed far more than any other generation of white Americans in U.S. history. Yet the South still fought. This would suggest broad popular support for the war." "Many, if not most, Southerners viewed their struggle as identical to that of the colonies during the American Revolution. They honestly believed they had a right to secede from what they perceived as a despotic central government bent on destroying the institution of slavery. They knew that the early Republic had slaves and that the Constitution at that time protected slavery." I think the correction will be made, in time, and that the lens of academic history will be refined, in its focus on the Civil War. The prejudices of an earlier generation have been dispatched. It's time to stop pushing so hard in that direction. Of course, some individuals will persist, clinging to an exploded dogma that suits their personal needs, long after it has been reversed or modified by honest seekers of wisdom. Much like the Lost Causers did in the last century. Progress is like that. A few people always choose to be left behind.